Groovin’ in the Garden is a music series where children, parents and grandparents are encouraged to jump, clap and get silly. Guests are encouraged to come early to set up blankets and chairs on the lawn. In the unfortunate event of inclement weather, performances may be cancelled. Ben Gundersheimer (Mister G) is a Latin GRAMMY Award-winning artist, activist, and educator. With ten albums of original songs composed in four languages, Ben tours internationally as a solo artist and with his Global Citizen Ensemble. His spirited bilingual performances aim to dissolve borders and foster cross-cultural connections. As travels across the country and around the world, Tim Kubart is known to audiences for infusing children’s music with a pop sensibility and heartfelt sound that moves your feet and touches your heart. Tim has also colored outside the lines as a singer-songwriter, hosting the preschooler TV series, Sunny Side Up, writing songs for classic programs like Sesame Street, playing tambourine with viral music sensation Postmodern Jukebox, and more. Tim also won the 2016 GRAMMY Award for Best Children’s Album for his independently released, fifth album for families, HOME. 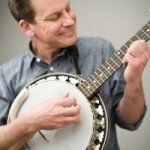 Filled with songs and stories from his award-winning recordings and books, Jim Gill has a unique approach to his concerts for young children and families. His graduate studies in child development have convinced him that family play is more important to young children than music alone…whether the music is classical, folk or rock and roll. Each of Jim’s concerts is an active sing-along and clap-along. He bangs out energetic rhythms on his banjo while everyone claps, jumps, dances and even sneezes along. For more information on Jim Gill, please visit www.JimGill.com.